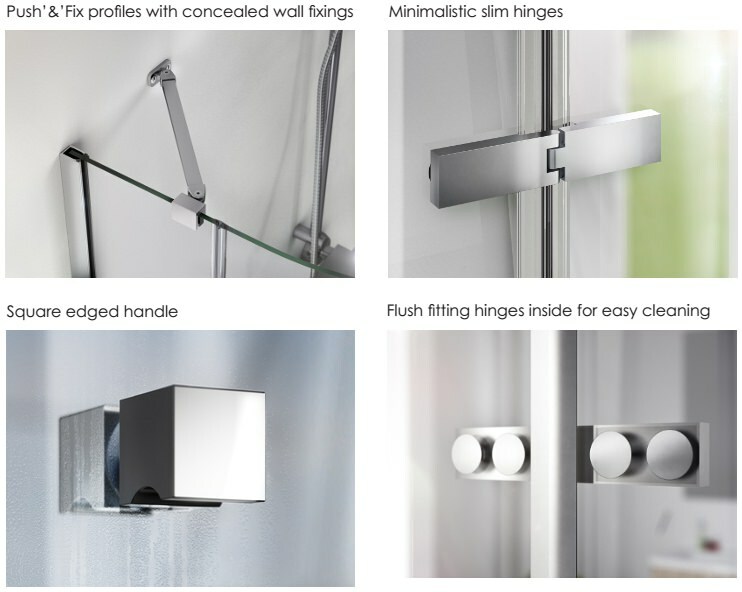 Aqualux has meticulously created the Hinge Door to improve the fashion and comfort quotient in your bathroom. 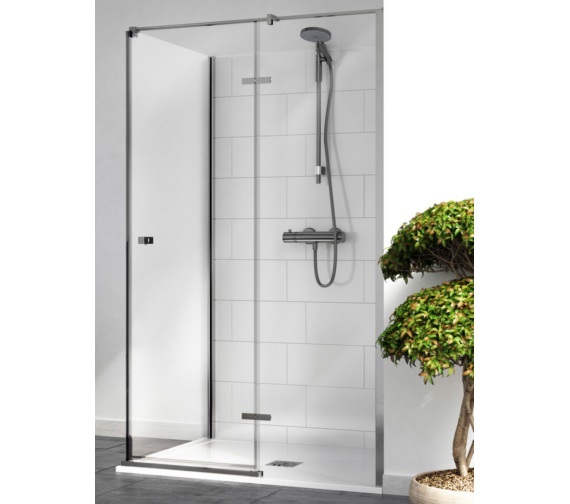 Its polished silver frame adds the right amount of glamour while holding an 8mm toughened safety glass together. 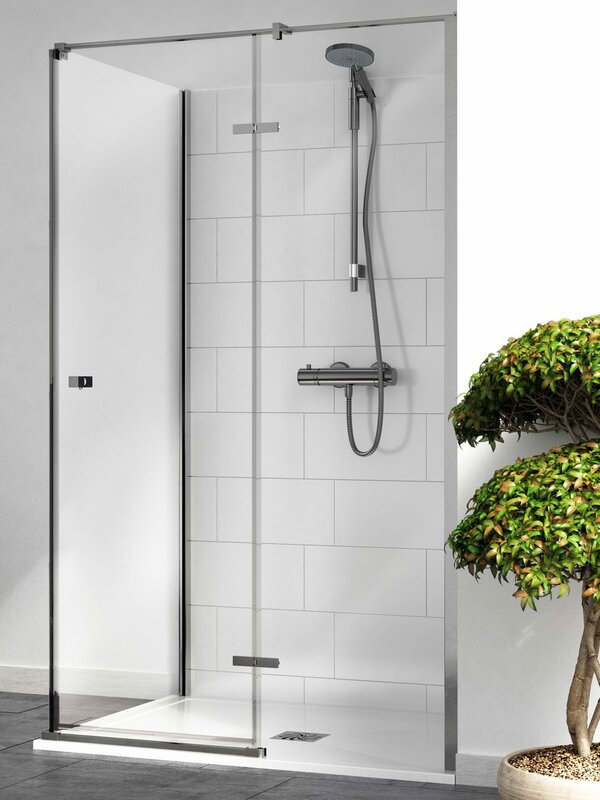 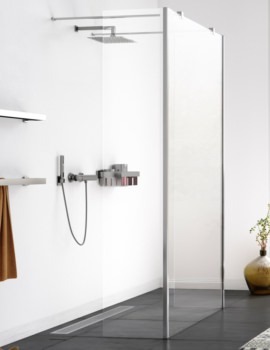 It comes with two fixed panels that add definition and allow you to create a cosy nook for showering. 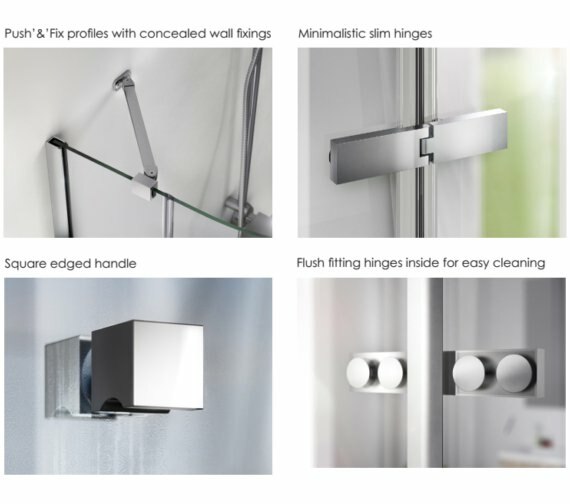 A host of modern features like Aquagleam coating, high quality hinges, magnetic door closing and a long-term guarantee ensure the door offers value for money. 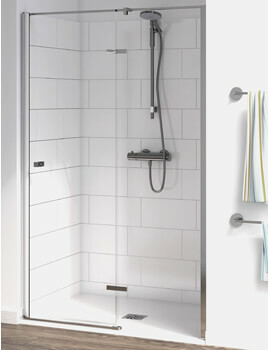 Can be used with suitable tray or wet floor installation to create your very own shower enclosure.